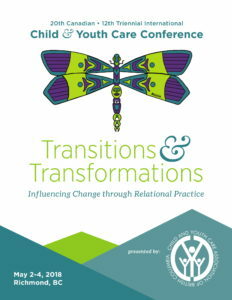 We THANK YOU for having joined us for the 20th National and 12th Triennial International Child and Youth Care Conference on the ancestral and unceded territories of the Coast Salish Peoples, specifically the Musqueam peoples, commonly known as Richmond, BC. Richmond is located in the beautiful greater Vancouver area. 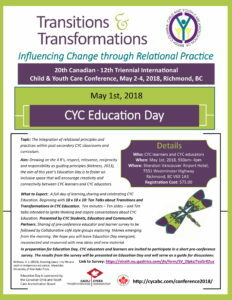 This conference included 3 full convening days and an Educators’ Day (May 1) filled with empowering opportunities to learn, share, network, and be inspired!